An elegant and broad five seater plan, with one three seater and two single seaters, these are offered in Wooden brown and Blue color option. These are ideal for homes with elegant wooden finish, and broad enough to offer traditional seating. An elegant and broad five seater plan, with one three seater and two single seaters, these are offered in Wooden brown and Blue color option. 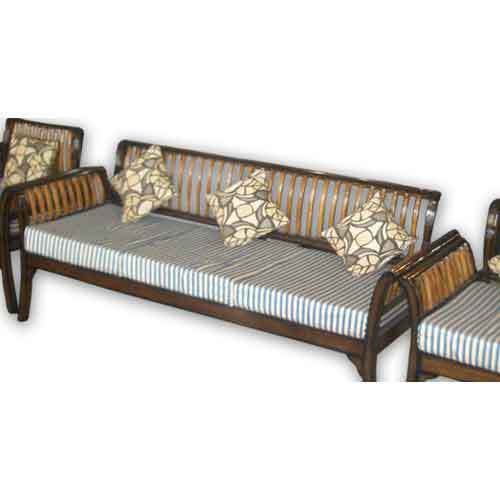 These are ideal for homes with elegant wooden finish, and broad enough to offer traditional seating.